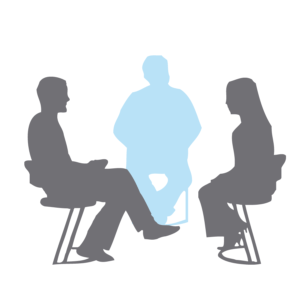 Mediation can conclude disputes quickly and in general, most people who try it feel that it offers good value for money. This makes the process streamlined and efficient and often results in a fair agreement for everyone. If you have a commercial or civil litigation dispute, proceeding through the court system may not always be the best route for all parties involved in order to reach a settlement. For some, alternatives such as mediation, offer confidential, less confrontational and often more cost effective ways of resolving civil disputes. Alternatives such as litigation can take years to resolve a dispute and going to court should be a last resort when all mediation and communication fails. Mediation and litigation can sometimes work in parallel throughout a court case. Sometimes, mediation is used during a litigation case to allow both parties to settle before it goes to trial and substantial costs are incurred. This is quite common especially when both parties realise how costly legal and court fees at a trial will be and that the outcome is still in the balance. We must warn that mediation cannot solve all disputes and cannot be suitable where a court declaration is needed in a test case, or where an injunction has to be served to prevent illegal actions, no matter how good your mediation solicitor is. Due to the nature of the process, all parties involved have to agree to enter mediation. If someone or one party refuses to enter into mediation, then litigation is the last resort. If you have a dispute or want to ask a question to find out more information, please get in contact with our mediation solicitors and we will be able to process your query efficiently and effectively. Call our Civil Litigation solicitors on 0207 998 7777 or contact us online so we may arrange a call back. With our vast experience in the field, our bilingual speaking team will work with you to ensure this process runs as smooth as possible.